Is Blu-ray on its Deathbed? 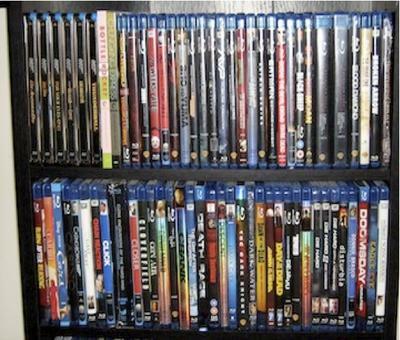 Some people argue that Blu-ray won’t be around much longer. Some argue that it will stick around. The question is, who is right? A lot of us forecasted that the now defunct format “HD-DVD” would in fact throw in the towel, which it did in February of 2008. Could Blu-ray fare no different? There are some interesting arguments that make claims that it will survive or die, and I will explain them briefly. There are some that may think that DVD will suffice, considering there are “upconvert” DVD players that can do reasonably close to the same performance of Blu-ray. This would mean that people could save money and won’t have to re-purchase the same DVD(s) on Blu-ray just to get the HD performance. What about digital streaming? Services such as NetFlix, iTunes, Xbox Live, Cable/Satellite OnDemand services (ex: Time Warner On Demand), Vudu, etc. are already offering content that users can stream from a simple online connection. With the proper hardware and a high-speed Internet connection, it is possible to have HD content right on your TV (or PC) without the need to buy Blu-ray or a tangible copy. What about selection and quality? A movie or program that you would want to stream via the services aforementioned may not be available (at least not right now) but could be available on Blu-ray. Plus, take into account that streaming content may or may not always provide exceptional HD quality. Depending on your network connection or the source, the lack of bandwidth and/or lower bit-rate transitions could affect and degrade true HD quality. Some may argue that having a hard tangible copy over digital streaming content will remain supreme. Mainly because of the collection (or collectors) value and nature of having the casing and design on your shelf, but also that it may keep or gain resale value. What about those who don’t want to change to streaming technology? There are still some who don’t want to change. They see Blu-ray as the next best thing and will stand behind it despite other technologies. With the prices of Blu-ray players dropping to about $150-$300, people may think the demand is catching on, thus it could be a solid investment. 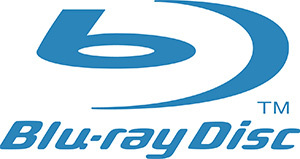 My personal opinion is that Blu-ray will be around for a while, they may even replace the DVD format if it does. 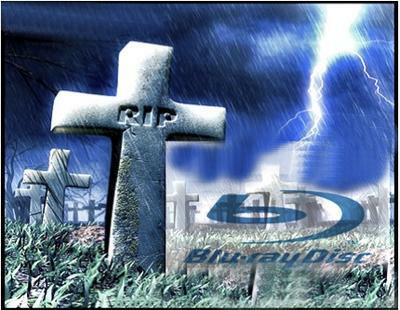 I still believe to this day that some people, even some die-hard tech fans, will still be on the Blu-ray bandwagon. Blu-ray does have superb picture and audio quality and some nice features such as 7.1 surround-sound support, large storage capacities, overlaying interactive menus, just to name a few. Regardless of the future outcome, Blu-ray is a good stepping-stone for HD technology. What are your thoughts? Does this technology have a future, or will everyone soon have a streaming movie box attached to their TV?